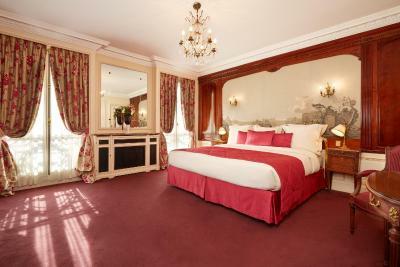 Lock in a great price for Hôtel Raphael – rated 8.6 by recent guests! Very friendly staff. Food at the restaurant is great, I tried the dock once for lunch and it is really presented served and cooked very well. The staff was extremely nice. Everyone from the doorman to the room service was warm, polite, and very efficient. My wife and I felt welcome like at home and treated like we were very special guests at this hotel, though we only stayed for one night in a standard classic room. 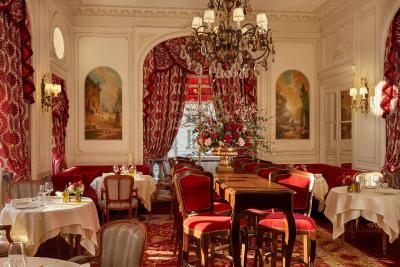 The welcome drink offered at the Bar Anglais in this wonderful historical salon was a delight! Location is perfect. Roof top fabulous. Room service superb. Room so so. 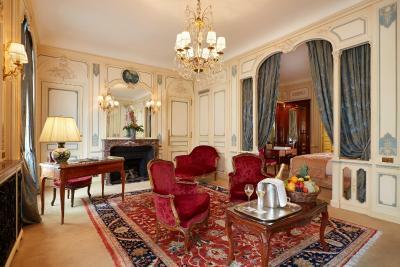 Generous upgrade, kind staff and the property was a pinnacle of luxury and historic French decor. The hotel is very nice. It will be much better when they finish renovating. The bed was comfortable and the gym offered a good treadmill. 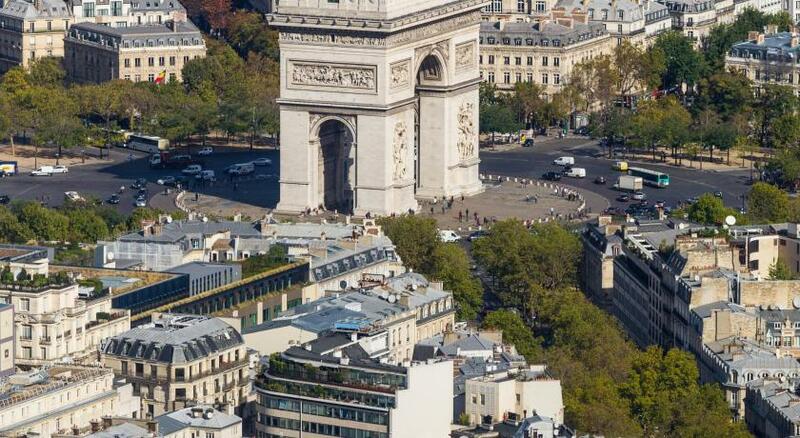 The hotel is close to the Arc de Triomphe/Champs Elysee if you've never been. 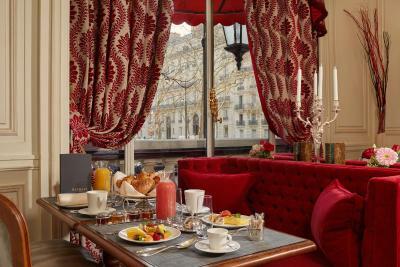 Breakfast was excellent, room was superb,location to metro was right outside front door. 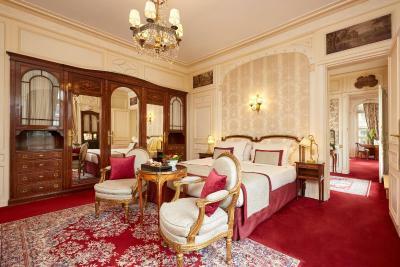 Stunningly beautiful room and a large balcony with fantastic Eiffel Tower views. Very friendly staff, most with excellent English and very tolerant of poor francophones. Fresh flowers and fruit platter in room. 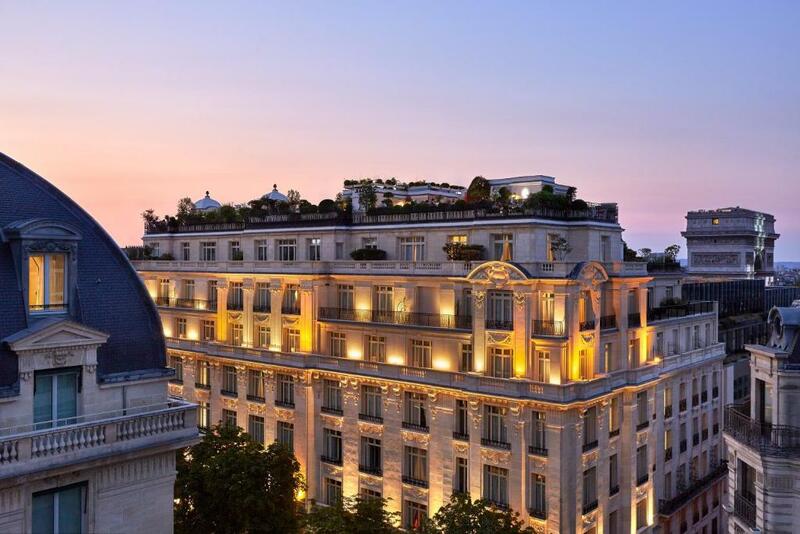 One of our top picks in Paris.Located a 2-minute walk from the Champs-Elysees and the Arc de Triomphe, this 5-star hotel offers luxury accommodations in the heart of Paris. 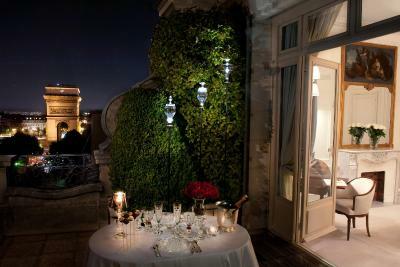 It offers a panoramic terrace and a gastronomic restaurant. 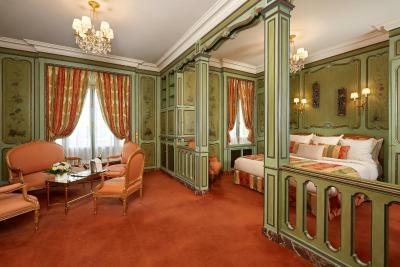 Decorated in a Louis 15th and 16th style, guest rooms feature wooden furnishings and elaborate wall hangings. They include a flat-screen TV and a mini-bar. 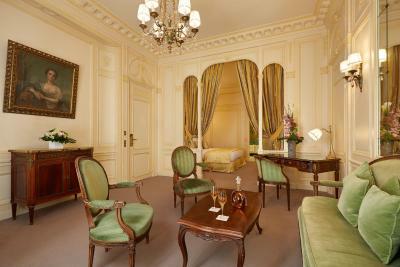 Some of the suites feature a balcony, views of the Eiffel Tower and lounge area. 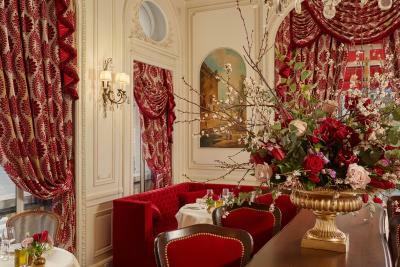 The award-winning chef proposes gourmet French cuisine at the sophisticated Raphael Restaurant. 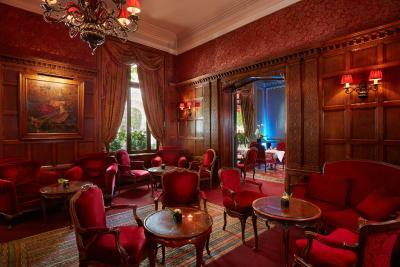 Guests can relax and have a snack, tea, drink or just relax in the English Bar's red velvet armchairs. 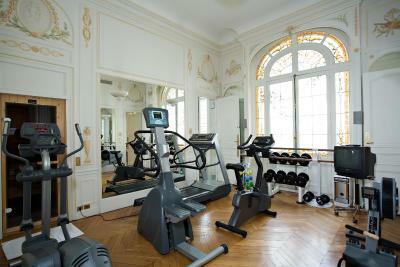 Other facilities at the hotel include free Wi-Fi access, a sauna and a fitness room. Guests have free access to an indoor swimming pool and a spa located in the Majestic Hotel, 550 feet from the property. 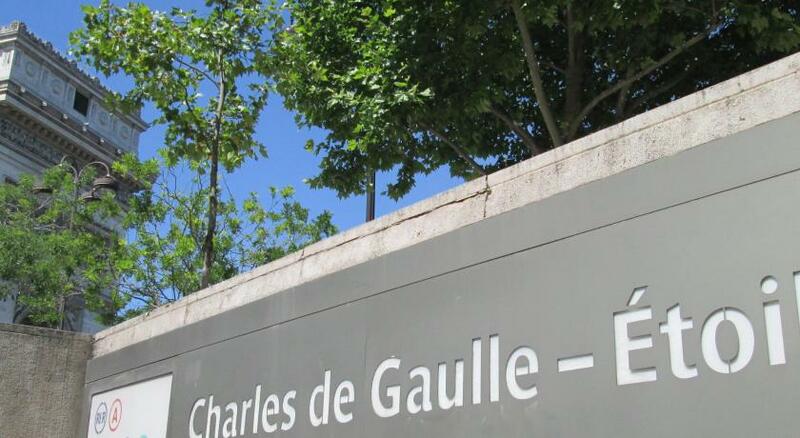 Charles de Gaulle – Etoile Metro Station is just 1,300 feet away, providing direct access to the Louver Museum and the Grand Palais. 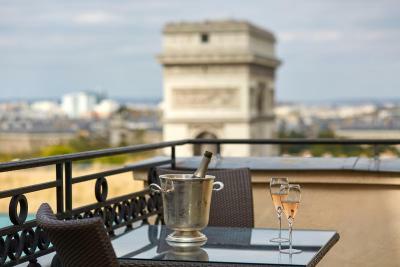 Trocadero is a 15-minute walk away, which offers one of the best views of the Eiffel Tower in Paris. 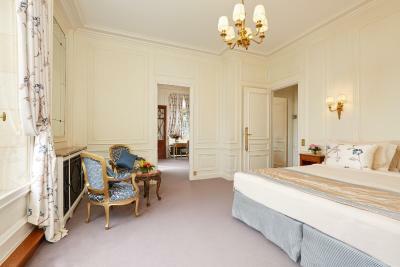 When would you like to stay at Hôtel Raphael? 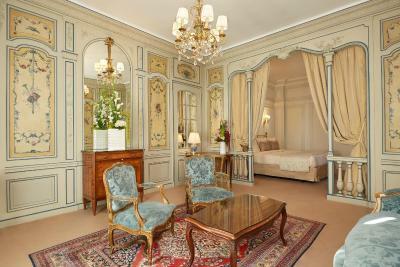 This room includes antique furniture in Louis XV and Louis XVI style and a sitting area. 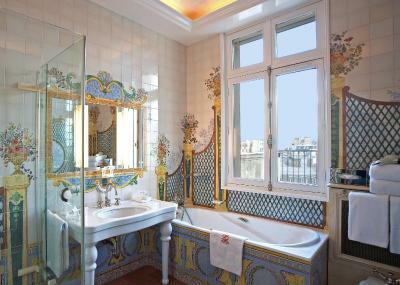 The private bathroom is decorated with mosaic tiles. It is not possible to add an extra bed to this room. 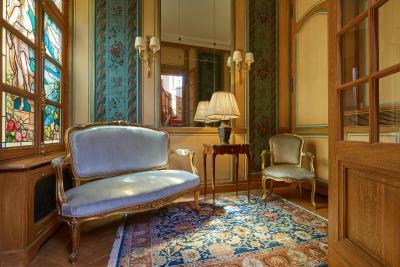 This spacious room includes antique furniture in Louis XV and Louis XVI style and a sitting area with velvet sofas and armchairs. 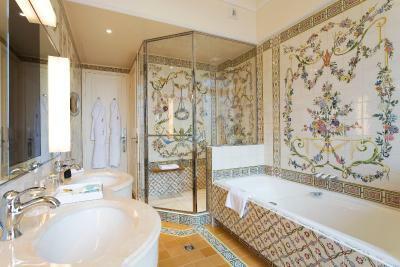 The private bathroom is decorated with colorful mosaic tiles and has a separate shower. The large living area in this spacious room is separated from the bedroom by a sculpted wooden arch. 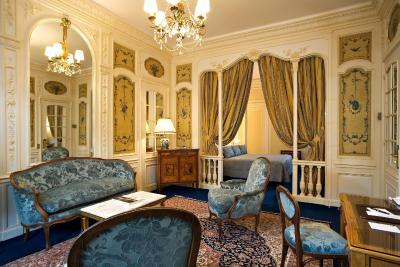 It includes antique furniture in the style of Louis XV and Louis XVI and a large wardrobe. The private bathroom has painted tiles and a separate shower. 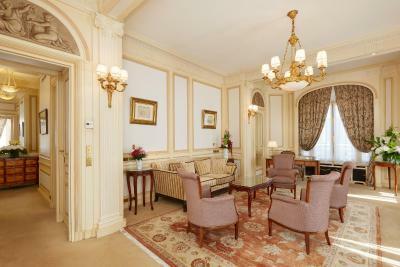 This air-conditioned suite features, a minibar, a TV with satellite channels, sitting area and safe. The private bathroom has a hairdryer and free toiletries. Offering city or courtyard views, this double room features a seating corner and bathroom equipped with a bathtub. A mini-bar and air conditioning is provided. 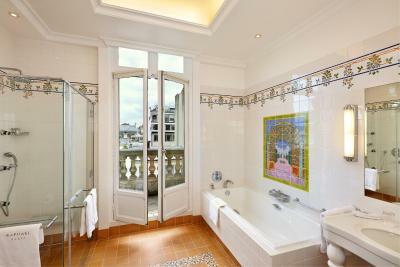 Offering a city view, this suite features an independent living room and a bathroom fitted with a bathtub and shower. 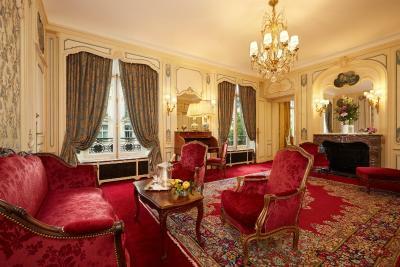 Decorated in Louis XV and Louis XVI style, this suite features a separate living room with velvet sofas and armchairs. It features 2 naturally lit bathrooms with a separate shower and offers views of the city. 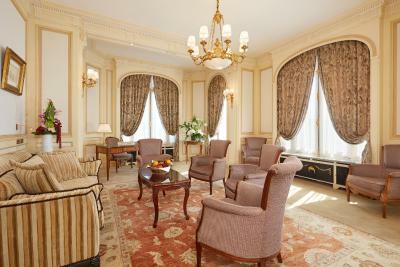 This suite offers city views and features a spacious living room with a fireplace. The private bathroom is equipped with a separate walk-in shower and the extra features include bathrobes, slippers and welcome amenities. 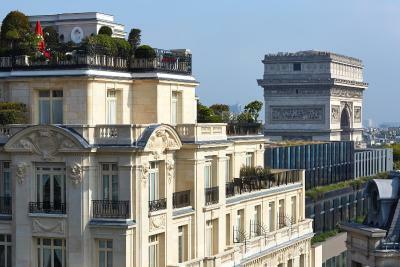 This duplex suite features a terrace offering views of the Eiffel Tower or the Arc de Triomphe. 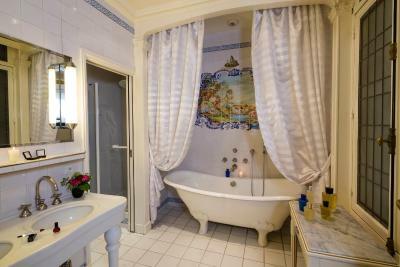 The private bathroom is fitted with a bath and shower. Extra features include a flat-screen TV with satellite channels, bathrobes and slippers. 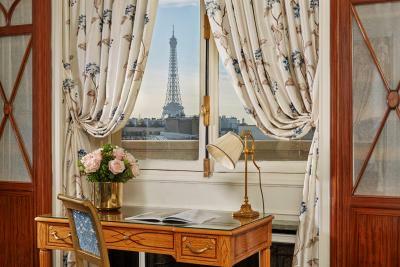 This suite features a 246 ft² private terrace and an Eiffel Tower view. 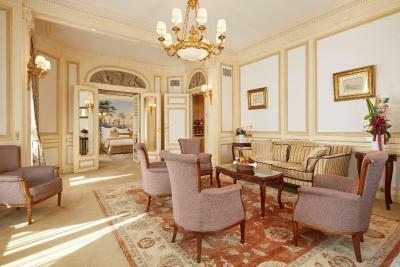 It also has a separate living room with a satellite flat-screen TV. Air conditioning with an individually controlled thermostat is available. 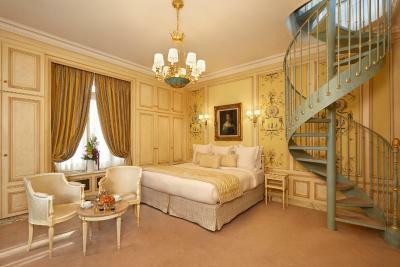 This suite features a 197 ft² private terrace and an Arc de Triomphe view. It also has a separate living room with a satellite flat-screen TV. Air conditioning with an individually controlled thermostat is available. 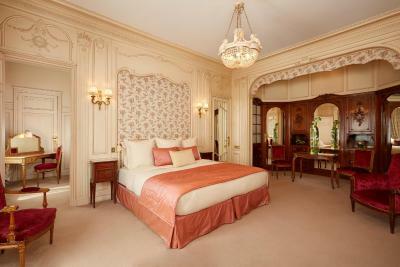 This suite features double entrance, a private terrace and an Eiffel Tower view. It has a bar corner and a separate living room. Air conditioning with an individually controlled thermostat is available. It also features 2 bathrooms with a steam bath and walk-in shower. 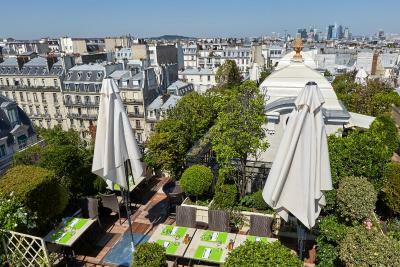 A HAVEN OF PEACE NEAR THE CHAMPS-ELYSÉES AND THE ARC DE TRIOMPHE. 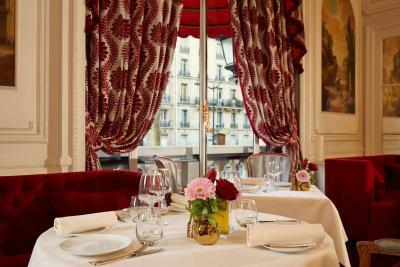 A five-star hotel on Avenue Kléber, just a few streets away from fashion boutiques and museums, the Raphael offers quintessentially French luxury. 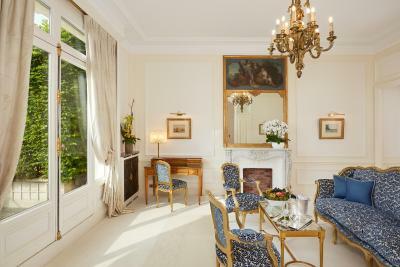 Stay near the French capital’s fashion boutiques, museums and main attractions at your very own Parisian home away from home in the 16th arrondissement. 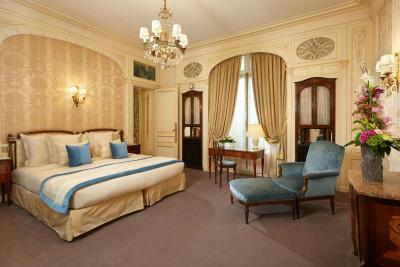 Hôtel Raphael has offered a unique ‘hospitality savoir-faire’ that has been the backbone of its success since 1925. 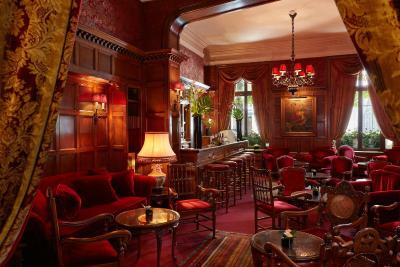 From the English Bar & Lounge to the magnificent top floor terrace with panoramas over the Arc de Triomphe and the Eiffel Tower, the hotel is the pinnacle of luxury Paris living. With state-of-the-art conference and banqueting rooms within historic settings and advanced fitness facilities, Hôtel Raphael caters for the modern traveller while retaining its unique prestige. House Rules Hôtel Raphael takes special requests – add in the next step! 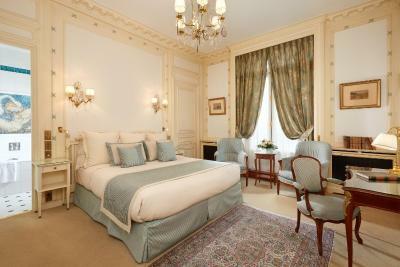 Hôtel Raphael accepts these cards and reserves the right to temporarily hold an amount prior to arrival. The tea and coffee niche in the room could have been better .We had a classic room and the room and bathroom were a bit dated though comfortable, clean and spacious on the whole. The bar was good . Service was good on the whole - very polite and efficient . Service with a smile and the staff always made us feel welcome. 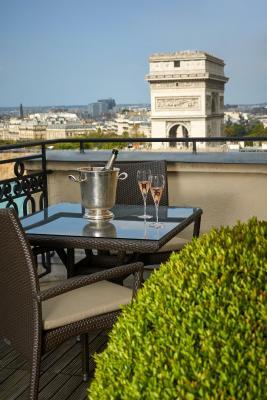 Hotel is central and very close to the Arc de Triomphe and Ave Champs-Elysées . Excellent location. Private property: not a chain hotel. Extremely friendly and helpful staff. It's an old facility hence very noisy when the adjacent or the room above had occupants moving around. The theme is old classic, so the cabinets have very old cranky wood. Spa... there only one tiny sauna inside small gym and there is no massage (as was written on booking.com! Also my room was supposed to be with city view and it was with office view ... i could see other people very closely from my window... I think these are Booking.com’s errors.. 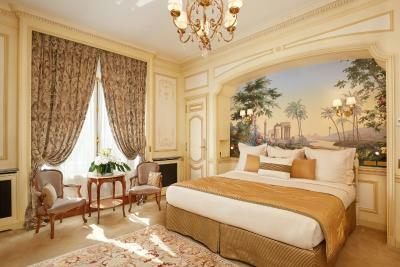 The style of the hotel and the room! The hotel is old but renovated, so it’s new inside! 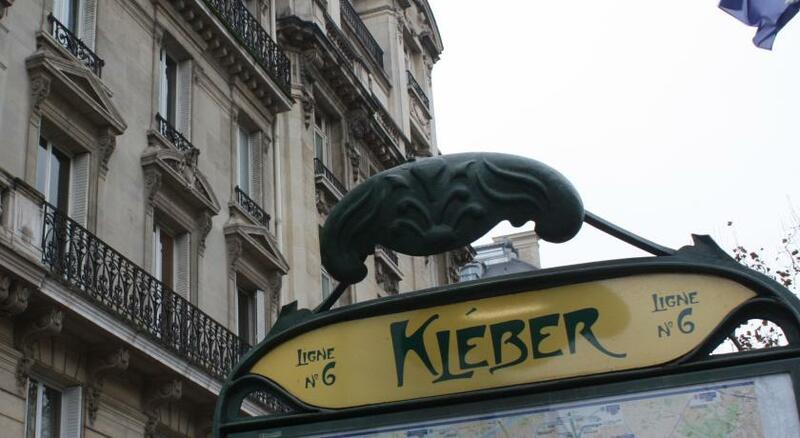 The staff was very helpful , the location - 10 steps from metro station, and close to Arc de Thriumphe! The breakfast don't respect the expectation. Simple and poor for a 5 stars LHW hotel. 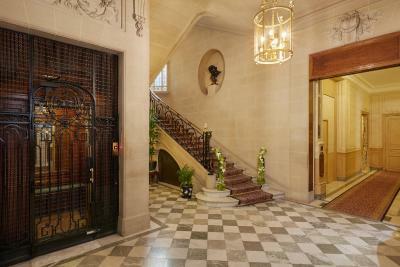 That every single member of staff perfect and incredible from the doorman to Francois Jacques the Manager. Difficult to find something negative about this hotel. The facilities are old but this is part of the charm in such beautiful building heritage from the past. 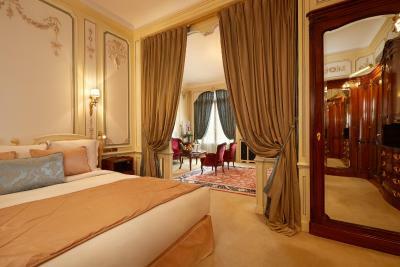 Raphael has a style and grand feel .. all the staff are accomodating & pleasant all of which ensures a comfortable stay. 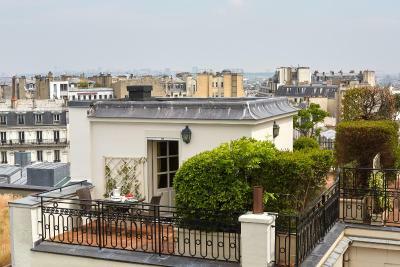 Fabulous rooftop views which capture the Paris landmarks . The standard of the rooms, and the maintenance has been run down. We had to move rooms because of a strong mouldy smell. The rooms require renovation! 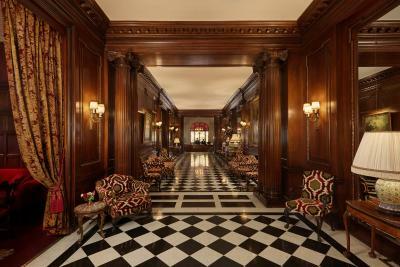 This is a famous hotel in an excellent location with a of history. The views from the rooftop. absence of a strong and separate shower. walking down the stairs to room 621. A lot of our money was stolen by housekeeping. Very very unhappy.